'63 Boycott, a film by Rachel Dickson, Tracye A. Matthews, and Gordon Quinn, will make its world television broadcast premiere on PBS' World Channel February 25 at 9pm/8c, as part of the channel's LOCAL, USA series. The film will be available to stream immediately following the broadcast from February 25-March 26 on worldchannel.org. On Tuesday, February 26 at 7pm EST '63 Boycott will air on ITVS' OVEE platform, followed by a live-streamed discussion with filmmakers Tracye A. Matthews and Gordon Quinn. The screening and discussion is presented in partnership with Georgia Public Broadcasting. '63 Boycott revisits October 22, 1963, when more than 250,000 students boycotted the Chicago Public Schools to protest racial segregation. Many marched through the city calling for the resignation of School Superintendent Benjamin Willis, who placed trailers, dubbed ‘Willis Wagons,’ on playgrounds and parking lots of overcrowded black schools rather than let them enroll in nearby white schools. Blending unseen 16mm footage of the march shot by Kartemquin founder Gordon Quinn with the participants’ reflections today, ‘63 Boycott connects the forgotten story of one of the largest northern civil rights demonstrations to contemporary issues around race, education, school closings, and youth activism. The film was shortlisted for a 2019 Academy Award in the Best Documentary - Short Subject category, and named to the 2018 DOC NYC Shorts Short List as one of the top 12 award contenders for the documentary short category. 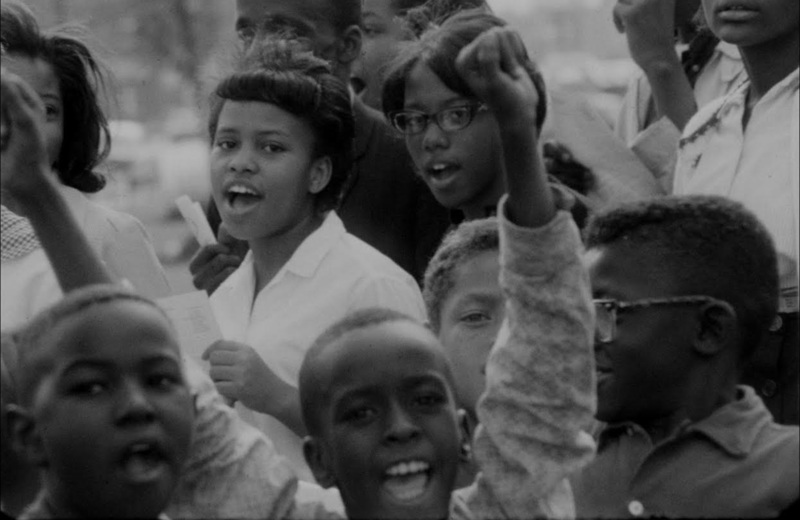 '63 Boycott has previously won the Grand Jury Prize for Best Short Documentary at the Nashville Film Festival, the Audience Award for Best Documentary Short at the 2018 Pan African Film Festival, the Best Short Documentary Award at the 33rd Berlin Black International Cinema Exhibition, the Best Short Documentary Award at the Adrian International Film Festival, and the Best Short Documentary Award at the Roxbury International Film Festival. '63 Boycott is presented by Kartemquin Films. A film by Rachel Dickson, Tracye A. Matthews and Gordon Quinn. Edited by Liz Kaar. Music by Tom Sivak. Associate produced by John Fecile and Zak Piper. Graphics by Connor O'Keefe and Evan Staley. Executive produced by Betsy Steinberg and Gordon Quinn. Produced by Rachel Dickson and Tracye A. Matthews. Directed by Gordon Quinn.